Home to roughly 91,000 people, the city of Westminster, CA, buzzes with life and activity. From high-quality shopping to fine dining and exciting entertainment, its no wonder why so many families have set roots in this wonderful community. If you’re looking for the latest styles and fashions, then there is no better place to go than the Westminster Mall. There you’ll find all of the name brands you love with a collection of other great shops and retailers. When you need a bite to eat, Westminster is an ideal place to sit down and have a meal. The Brodard Restaurant, for example, serves quality Vietnamese cuisine and Asian fusion in a sleek and comfortable environment. When you need some after-dinner entertainment, you can stop by the Westminster Rose Center. This sophisticated building features a 419-seat theater, a banquet hall, and beautiful outdoor courtyards. Check out a solo performance, comedy production, and more events at this truly entertaining venue. Helping the residents of Westminster, CA, find an affordable used car so you can get to all of these great locations is Norm Reeves Honda Huntington Beach. As a trusted used car dealer near Westminster, your satisfaction is our number one priority. As soon as you enter our dealership, you’ll be greeted by a friendly sales consultant. We will help build a selection of vehicles that meets your specifications and let you take each one on a personal test drive. Once you find a used car that meets your needs, our finance department can help you secure an affordable financing plan, so you can get behind the wheel of a great used car today. From research to test drives to financing, our team at Norm Reeves Honda Huntington Beach is here to make finding a reliable pre-owned vehicle fun and easy the way buying a car should be. Our dealership also features a state-of-the-art service center that uses the latest equipment and tools to keep your vehicle performing at its best. 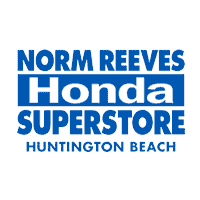 Whether you need an oil change or transmission repair, you can trust the service technicians at Norm Reeves Honda Huntington Beach. You’ve already started your journey to finding a great used car for you and your family. Now the next step is to select a few models that might meet your needs. You can view our inventory of pre-owned vehicles on our website and learn about their performance standards and other features. If you need help, you can call or visit us at Norm Reeves Honda Huntington Beach. As a reputable car dealer near Westminster, well be happy to answer any of your questions and help you find a great used car. To get to our dealership from Westminster, CA, just head south on Beach Boulevard. Once you cross over Garfield Avenue, our dealership will be just up the street on the right side. Call ahead and schedule your appointment today.